Free 3 column Joomla 1.5 template suitable for blog portal or business website with golden brown color scheme and main content in the left column. 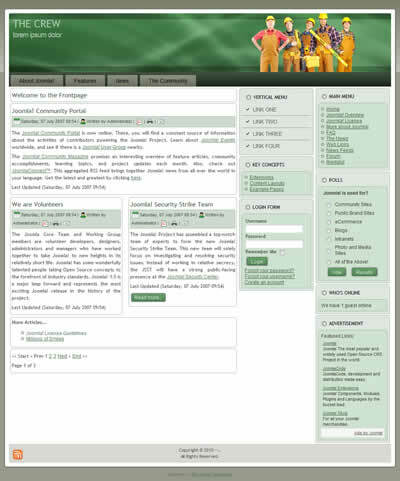 This free joomla template has fixed width and it is css and xhtml valid. ﻿ Free 3 column Joomla 1.5 template with main content in the left column and sidebars on the right available for download. 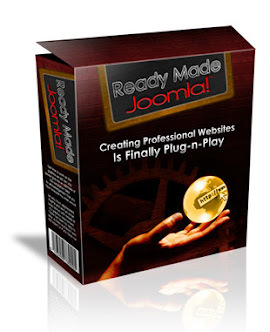 This free joomla template has rounded corners it is css and xhtml valid and it has fixed width. 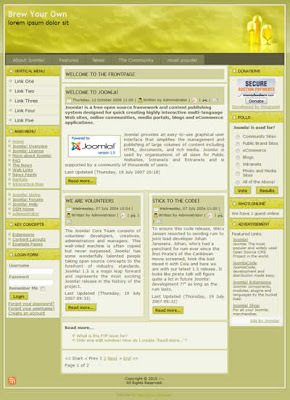 Free 3 column Joomla 1.5 template suitable for sport portal or business website. This free Joomla 1.5 template has main content in the left column, two sidebars on the right it is css and xhtml valid and has fixed width. 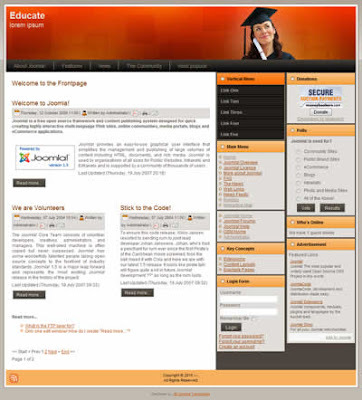 Free 3 column Joomla 1.5 template suitable for education website available for download. 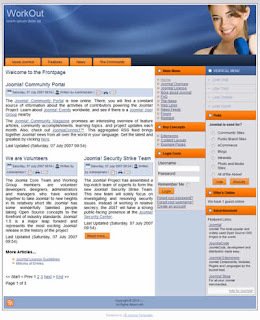 This free Joomla template has main content in the left column and two sidebars in the roght column. Template is 1000 px wide and it is css and xhtml valid.